Jackson finds his life calling and becomes a spiritual leader of Kenya. Watch how child sponsorship provided an education and opportunities to change Jackson&apos;s life and the lives of many others. A Kenyan Maasai boy becomes a leader of his nation, the Anglican Archbishop of Kenya, through child sponsorship and education. This is a story of how child sponsorship led a Maasai child, who grew up in a humble home made of mud, sticks, straw and cow dung, to become a spiritual leader in his nation by taking residence in the Archbishop’s official home in Nairobi, located next to the State House, the official residence of the President of Kenya. Child advocate. National leader. Innovator. Educator. Archbishop of Kenya. Jackson was born in 1964 and grew up in Narok County in a rural and hard to access area. His father, a wealthy Maasai man who owned large herds of cattle, tragically died when Jackson was only 4 years old. This left Jackson too young to fend off his older half-brothers who forced his mom and sisters from the land. From a young age, he had to learn the skills of a herder—which involved evading powerful and dangerous elephants and lions. One day, World Vision staff came to his village and asked the children without parents who were eligible for child sponsorship to step forward. He didn&apos;t at first. Though he felt ashamed of not having a father, he went forward and got his picture taken to enroll in the program. For the first time he was given a new uniform and wore shoes. Child sponsorship enabled Jackson to pursue an education where he discovered his love for reading. He performed well enough in school that his teachers encouraged him to think of going to high school and seek advanced learning. Jackson was 21 when his motivation shifted from bitterness towards his half-brothers to kindness and a desire to help children learn. The impact of Jackson being sponsored as a child continues to ripple through his life and others. Jackson started a Maasai school when he noticed children were not going to school and started adult literacy classes in his home for the other boys who herded cattle and were gone all day. Another program he started years ago in Narok County helps about 3,000 orphaned and vulnerable children today. And some of those children have become adults in careers such banking and other sectors of Kenya’s economy and they are making a difference in their own families and lives. Jackson’s energy and work impressed his pastor who encouraged him to go to get formal schooling. In 1991 Jackson graduated with a diploma in theology from Berea Theological College. He went on to get a Bachelor of Divinity from St. Paul’s University and traveled abroad to get a master’s degree in social development and sustainable livelihoods from University of Reading in England in 2003. 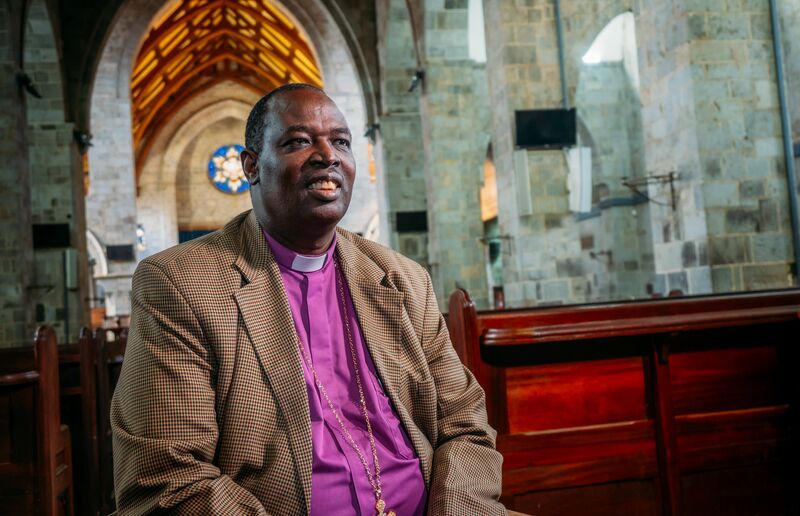 He was ordained a priest in 1992, and in 2005 he was named bishop of the Kericho diocese. Jackson says that none of this would have been possible if it weren&apos;t for that person, that family, who chose to sponsor him when he was a young boy. He wonders how he can give back as much as possible to his community that gave him the life he has today.